IRS Form 720 is used to report and pay your federal excise tax liability for certain products that are manufactured, produced or imported like fuel as well as services like airline travel. It is not used for alcohol, tobacco and firearms, which use Form 5000.24. We will discuss how to complete Form 720. To avoid the many headaches that come with tax time, we highly recommend you use accounting software like QuickBooks to record all the information you need to have handy to complete IRS Form 720. QuickBooks allows you to keep track of your purchases of fuel, airline travel and other items subject to excise taxes. You can qualify for up to 50 percent off a paid subscription of QuickBooks Online. Like most tax forms, you will need to have several pieces of information and documents handy to complete form 720. You will need your federal employer identification number (FEIN), plus a detailed report that shows sales of all products and services or units sold report. Listed below are the three primary documents and information you will need to complete IRS Form 720. This is your federal employer ID number, also known as your tax ID. It is used by the IRS to identify your business. For more info on how to apply for your EIN, check out our Employer ID guide. The excise tax for many of the items on Form 720 is calculated as a percentage of sales. Therefore, you need to keep track of your total sales amount for each product and service that you sell so that you have accurate dollars to use for this calculation. If you have a retail business and you use a point of sale (POS) system, then you should be able to generate this report easily. If you track your inventory in QuickBooks, you can generate this report easily. The other method used to calculate excise tax is total units sold. For example, total gallons is used for fuel. You need to keep track of the quantities of all products sold so that you can use that information to calculate the excise tax accurately for those items that are based on units sold. If you use accounting software like QuickBooks, you can run these types of reports easily in just a few minutes. Head to our free QuickBooks course to see how quickly you can get your business up and running. Form 720 Quarterly Federal Excise Tax Return is due the last day of the month following the end of the quarter. For example, the first quarter ends March 31, which means the due date is April 30. If the due date does not fall on a normal business day, the due date is the following business day. Unlike the tax form, which is filed quarterly, you are required to make payments on a semimonthly basis. You can find the payment due dates in the When to Make Payments for IRS Form 720 section of this article. There are seven main sections of Form 720. Below you will find form 720 instructions along with a snapshot of each section. 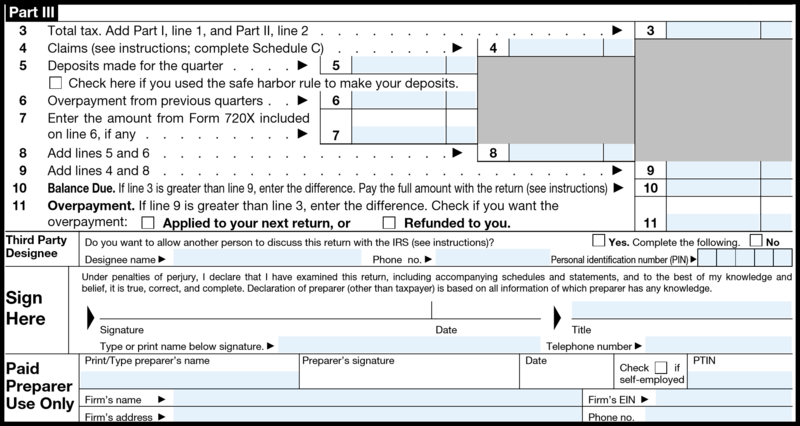 IRS Form 720 – General Information Section. IRS Form 720 — Part I.
IRS Form 720 — Part I (continued). *To calculate environmental taxes, you will need to complete Form 6627 and file it with Form 720. The rates for each tax can be found directly on the form (as indicated in the above screenshot). IRS Form 720 — Part II. If you issue health insurance policies, you will need to provide the average number of lives covered for each policy issued. For the fishing equipment, motors and tanning services, you will need to use your sales report by product and services that we discussed in the previous section. IRS Form 720 — Part III. In this section, you will report any claims that you calculated in the Schedule C section of this form, which we will discuss later on. You will also provide the total amount of excise taxes paid during the quarter and calculate your balance due if any. 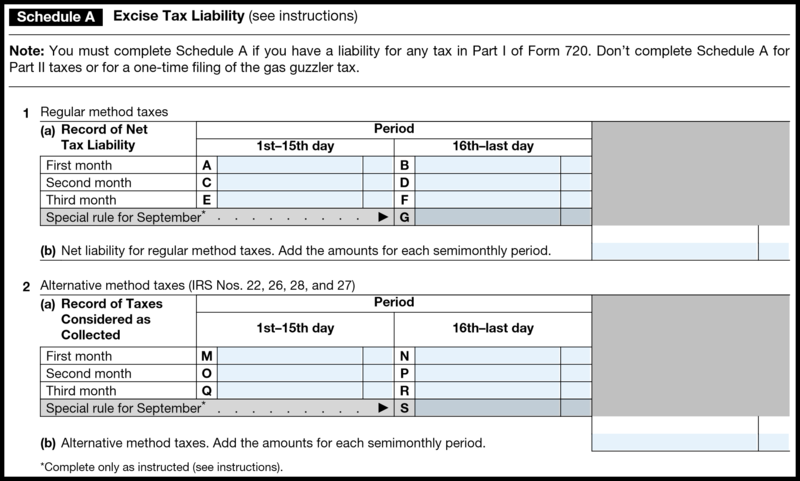 IRS Form 720 — Schedule A (Excise Tax Liability). 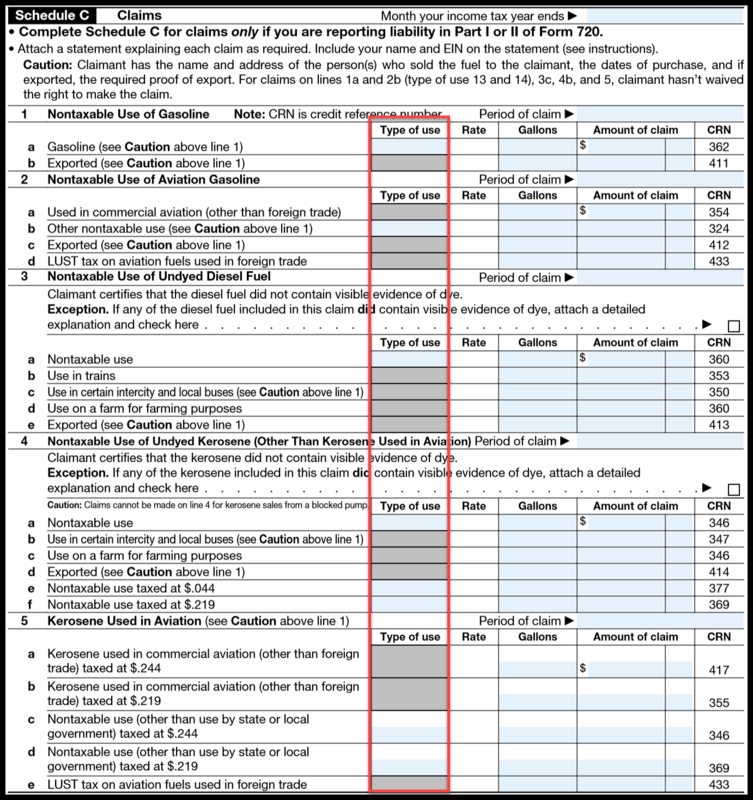 IRS Form 720 — Schedule T (Two-Party Exchange Information Reporting). Note: If you do not produce, manufacture or sell diesel fuel, kerosene, gasoline or aviation gasoline, then you do not need to complete Schedule T.
The purpose of Schedule T is to report the total gallons of taxable fuel received or delivered in a two-party exchange. In a two-party exchange, the receiving person, not the delivering person, is liable for the tax imposed on the removal of taxable fuel from the terminal at the terminal rack. A two-party exchange means a transaction (other than a sale) where the delivering person and receiving person are both taxable fuel registrants. Refer to form 720 instructions to determine if you have transactions that would qualify as two-party exchanges. 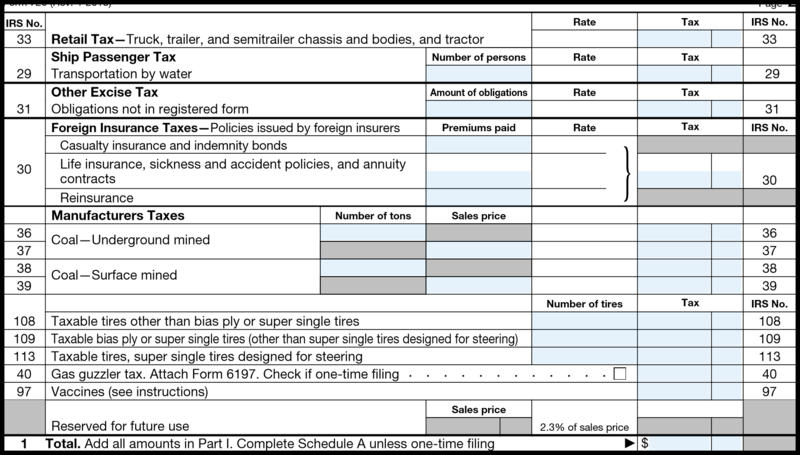 IRS Form 720 — Schedule C (Claims). Depending on the type of fuel and how it was used, you may qualify for a claim to reduce the amount of excise tax that you owe. 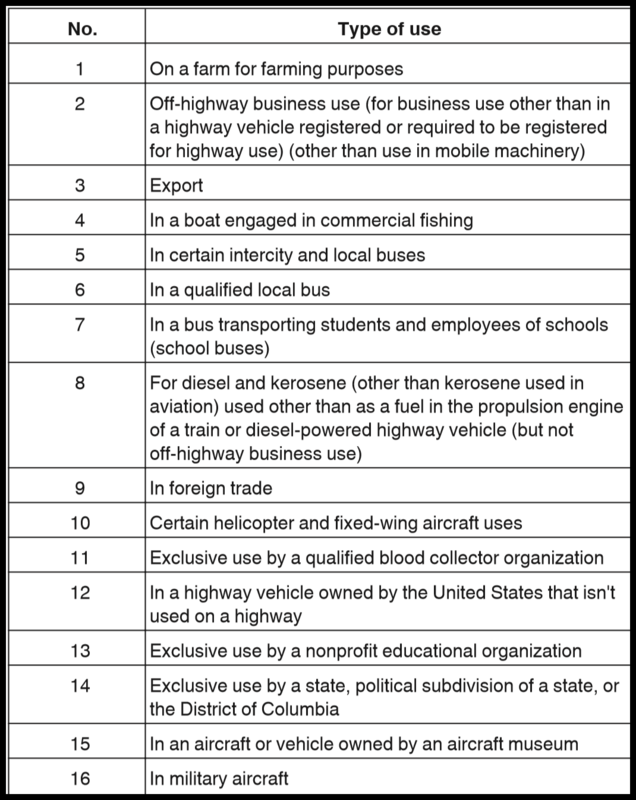 Below is a chart from form 720 instructions that lists all of the different uses of fuel that qualify for a claim. 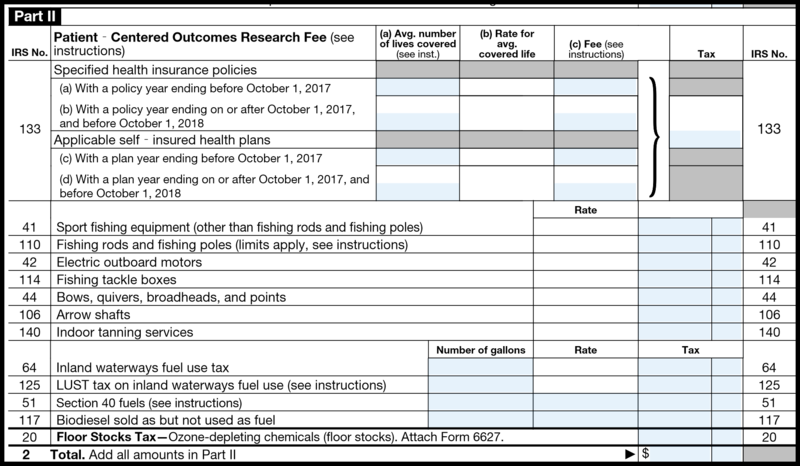 You will select the type of use from this chart and include it in the Type of use column (as indicated in the screenshot above) next to the appropriate items that you are filing a claim for. 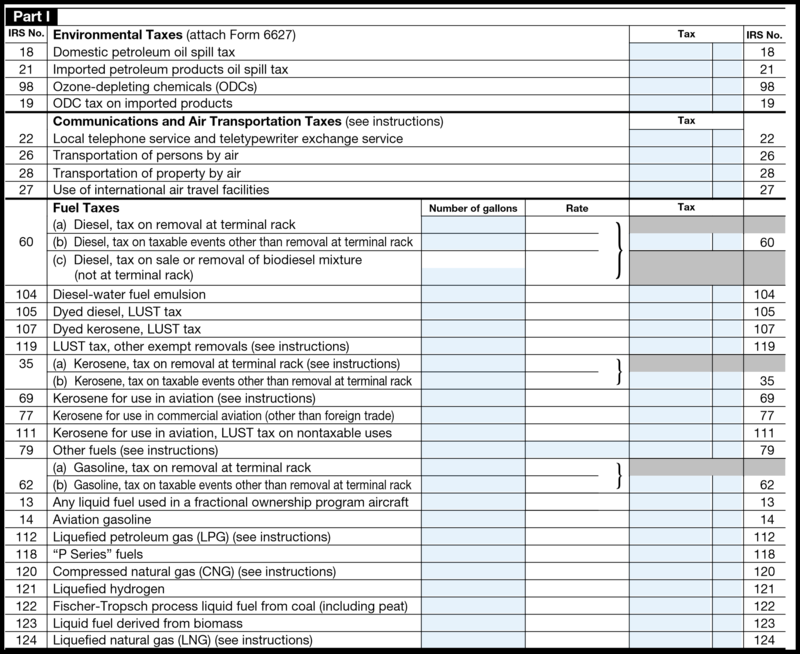 IRS Form 720 Schedule C (Type of Use Table). In general, excise tax payments must be made on a semimonthly basis. The first 15 days of each month is the first semimonthly period and the 16th through the last day of the month is the second semimonthly period. Payment for all excise taxes except communications and air transportation is due 14 days after each period and must be paid electronically. If the due date does not fall on a normal business day, the due date is the following business day. For communications and air transportation, you have the option of following an alternative schedule. 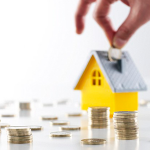 Under the alternative schedule, you’re allowed to base your deposit on the amount billed or tickets sold during a semimonthly period, rather than on taxes you actually collected during the period. If you choose to use the alternative method, you need to keep detailed records of the amount of tax included in the amounts billed or tickets sold. For more details, refer to the form 720 instructions. Below you will find answers to the most frequently asked questions about form 720. If you don’t see your question, head to our FitSmallBusiness forum and post your questions there. 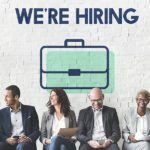 In addition to myself, we have a number of bookkeepers, certified public accountants (CPAs) and attorneys who will be happy to answer your questions. Here are some of the most frequently asked questions about IRS Form 720. Can You File Form 720 Electronically? You can electronically file Form 720 through an electronic return originator (ERO), transmitter or intermediate service provider participating in the IRS e-file program for excise taxes. Check out the authorized IRS e-file provider database for a nationwide listing of businesses that have been accepted to participate in the IRS e-file program. What Goods Are Subject to Excise Tax? What Is the Mailing Address for Form 720? Be sure to double check the form 720 instructions for the year you are filing to ensure that this information has not changed. How Do I Report Sales for Alcohol, Tobacco & Firearms? Alcohol, tobacco and firearms are regulated by an agency called Alcohol and Tobacco Tax and Trade Bureau (TTB). To file and pay your excise taxes for alcohol, tobacco and firearms, you must complete Form 5000.24, which can be completed online at the TTB website. You are required to file and pay excise taxes on a semimonthly or quarterly basis. To learn more about how excise taxes are calculated on alcohol, tobacco and firearms and when to file, check out our Excise Taxes guide. Excise taxes, like most taxes in general, can be overwhelming. The key to filing your tax returns properly is making sure that you have good, accurate accounting records. By using accounting software like QuickBooks to manage your income and expenses, you will have access to the reports that you need to complete your tax forms. Whether you use the percentage of sales method or the quantity sold method to calculate your excise taxes, you can run the sales reports that you need in QuickBooks. FitSmallBusiness readers can qualify for up to a 50 percent discount on a paid QuickBooks subscription.